This is going to be a pretty long recipe so bear with me. Rainbow in desserts are pretty common nowadays, even we have a few coming up soon, just add some food colouring in your batter and all is good. 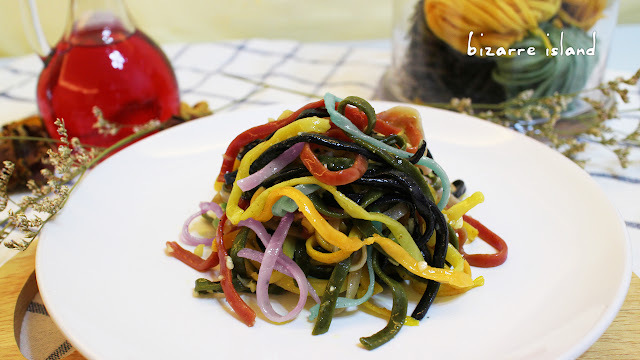 To achieve an appetizing rainbow savoury dish is not that easy, surely you could just add in food colour like you have done in sweet dishes but it just doesn't do justice to the food you are eating. There are lots of vibrant colours in the nature and putting some of them in a dish is just as easy and healthier. And the thought of not using any food colour makes the food more appetizing. 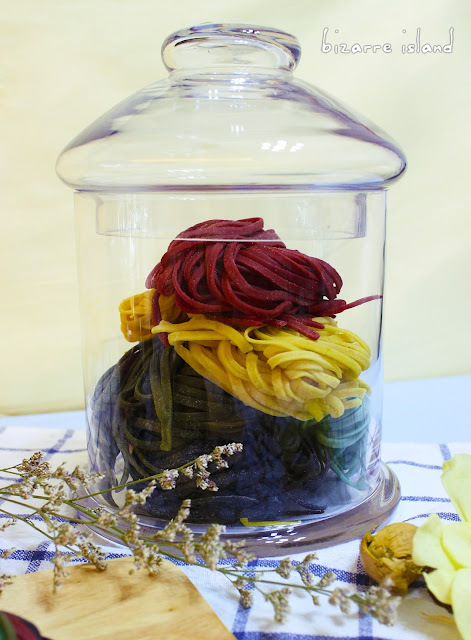 Here we are going for an all natural rainbow colour so why not go the full way and make it Vegan. All the hype about vegan these days. To be honest, we, ourselves, are not vegans. We don't judge anyones dietary choices, we give people options so once in a while we make vegan stuff. Back to the recipe... Making fresh pasta is easy, simple steps. If you do not have/own a pasta roller, hand rolling and cutting will be the way to go. 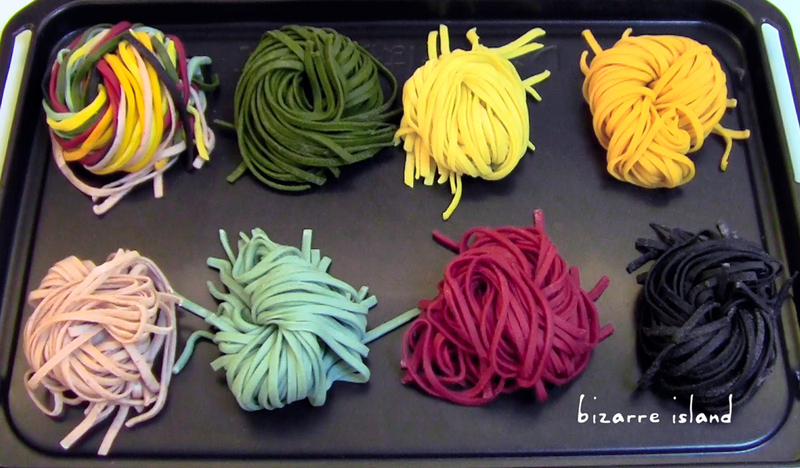 Still easy to do, just a hand full of ingredients and some spare time, coz although easy, it is time consuming to make 7 different colours of pastas. Ok... we know black isn't in the rainbow but any colour is awesome ! !